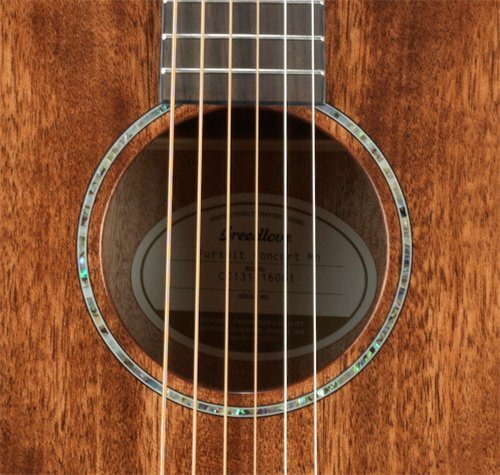 Scale Length (in inches): 25 1/2"
This popular guitar gives the warmth and tonal color of an all mahogany guitar. Like the universal playability of all Breedlove Concerts, the solid mahogany top invites enthusiastic strumming as well as note-by-note fingerstyle play. The Breedlove Bridge Truss adds durability and enhances tonal complexity for beautiful sound.